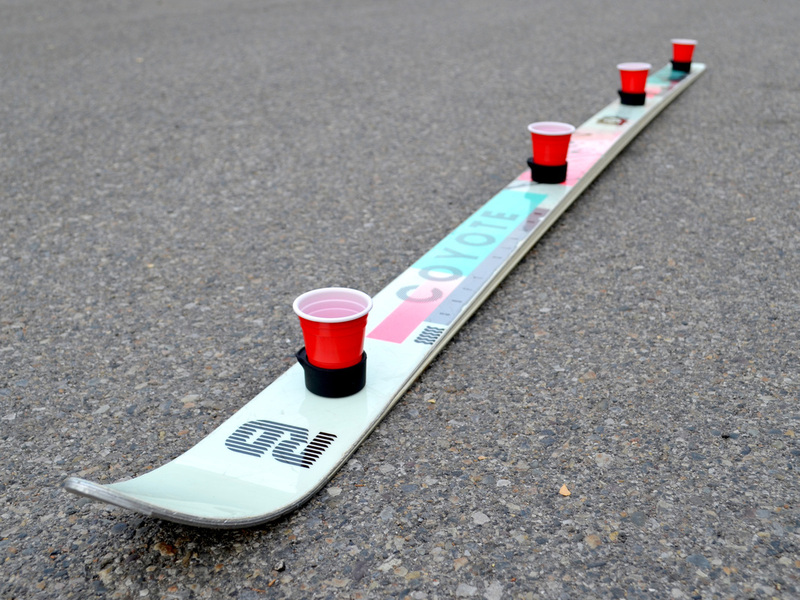 The Big Shots Store - Build your shot ski now! Our foolproof medical-grade silicone mounts actually hold your drinkware BETTER when they get doused by a beverage. Handy right? We worked directly with 3M to develop an element-resistant, attach-to-anything adhesive pad that stays where you stick it... period. It looks like glass, but our line of drinkware is actually made from a magical shatterproof PartyPolymer that can handle the big tumbles. A long standing Apres tradition. Take an old ski, remove the bindings, de-tune the edges, and stick on 4 Shooter Mounts. Pair with glass, plastic, or disposable shot glasses! Ol' Faithful! A true Big Shots original. 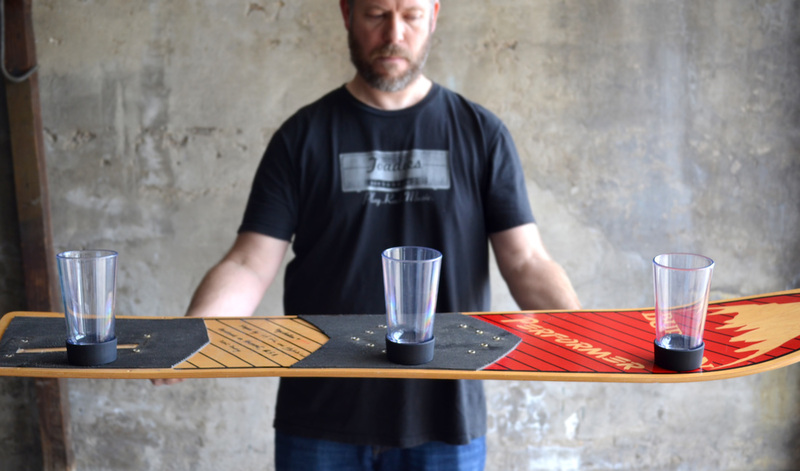 Take the bindings off an old snowboard, and stick on 3 Bomber Mounts. 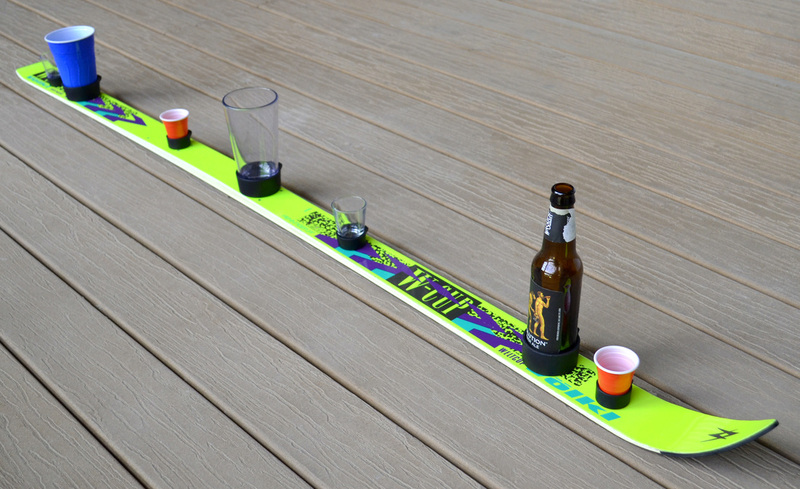 Use with pint glasses, solo cups, beer cans, or beer bottles. Let the chuggin' begin! Don't ski? Don't Snowboard? Don't care? Then this handy-man special is for you! 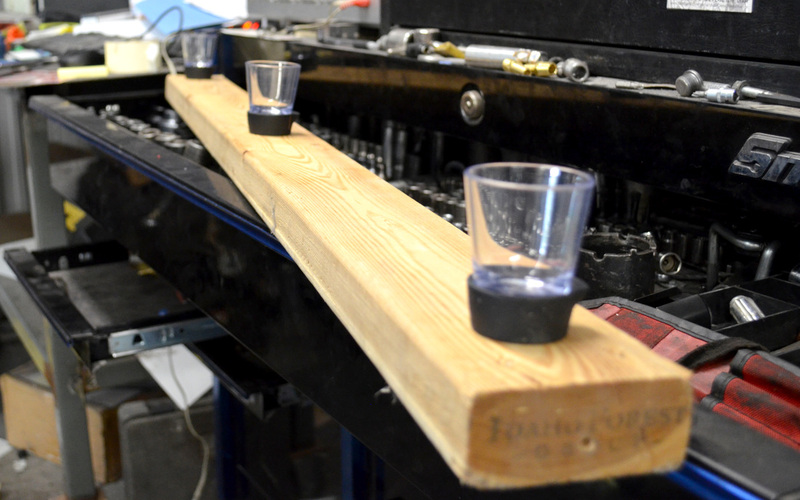 Best part is, when you're done with your shot, you can let out your inner 'Hacksaw' Jim Duggan! Hoooo! Another Big Shots original, and a true all-in-one solution. Your gear of choice, mounted with 4 Shooter Mounts, and 3 Bomber mounts. Now you can mix and match an unlimited amount of configurations - a little something for everyone!